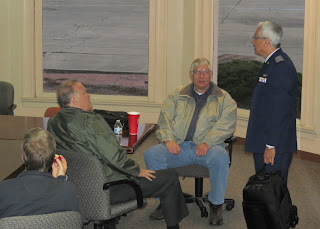 Capt Eichelberger (middle). Photo by Lt Col Tinnirello. 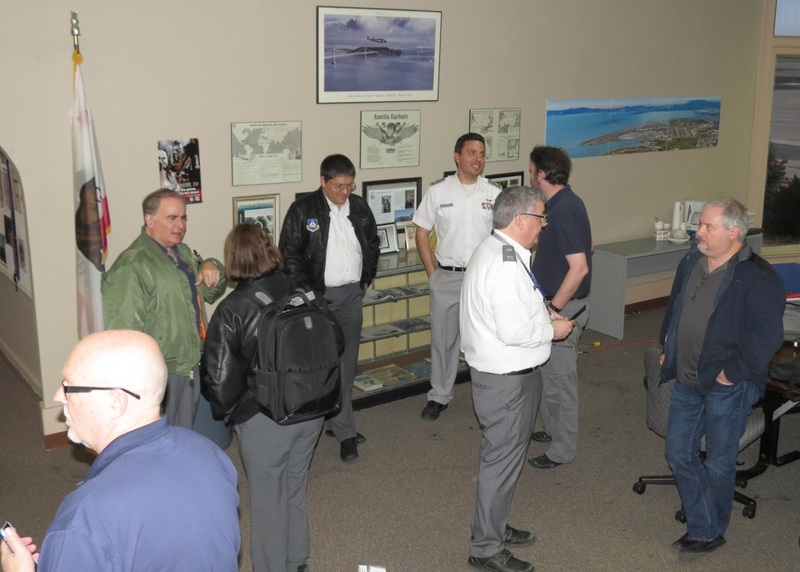 The meeting took place on the 4th of April and started with the Pledge of Allegiance to the Flag of the United States, led by Lt Col Tinnirello. 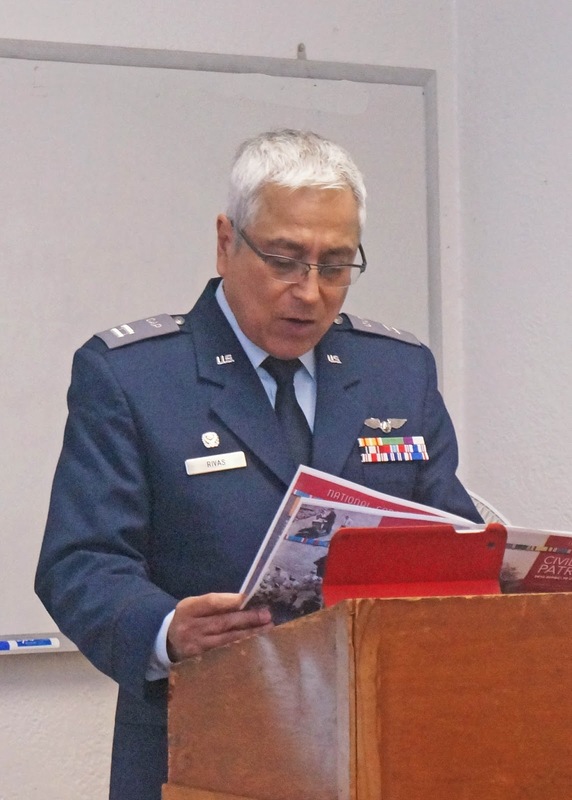 Squadron Commander, Capt Rivas welcomed participants and proceeded to comment on the CAP Report to Congress. He was impressed with the accomplishments as well as the amount of money CAP saved taxpayers because of the contributions of the hours provided by CAP members. Congratulations to Capt Michelogiannakis for his promotion to Maj and to SM Valeur for his promotion to 2d Lt. The following members participated in missions over the past month. Members at the meeting. 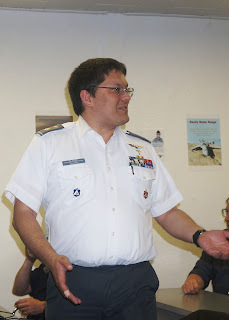 Photo by Lt Col Tinnirello. Congress. Photo by Lt Roudnev. last month, one day after that All Hands meeting. Photo by Lt Roudnev. Maj Blank: renewed IFR F5 (Instructor Pilot, Check Pilot, Check Pilot Examiner) Maj Blank is also the only GA8 pilot in our squadron. Welcome back! 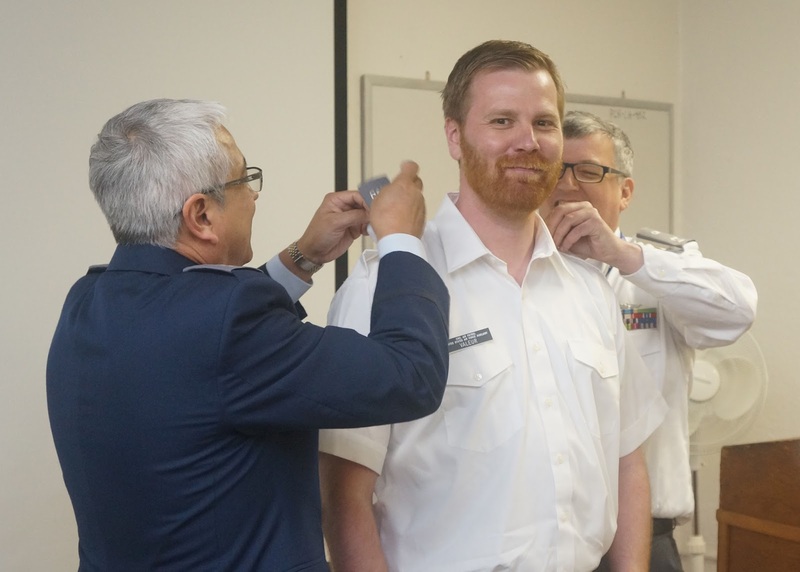 Congratulations to Maj Luneau, who has taken on a new duty – Assistant Operations Officer for Group 2. 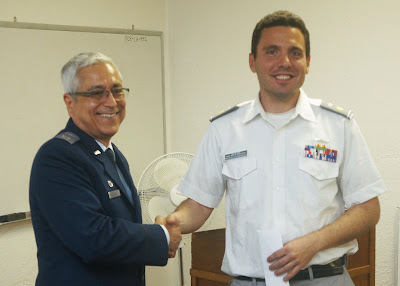 Congratulations to 1st Lt Fall for his Achievement Award from Pennsylvania Wing (PAWG)! (right). Photo by Lt Roudnev. participated in. Photo by Lt Roudnev. 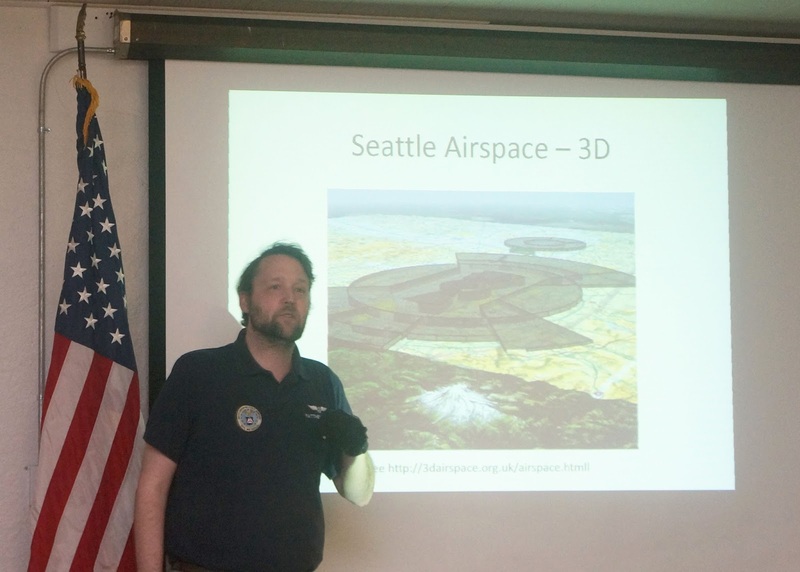 This month’s safety update was provided by Capt Gast, who gave an excellent presentation on changes in class B airspace, using Seattle as an example. If you were not at the meeting, you missed a lot of good information. Capt Gast presenting updates to class B airspace.